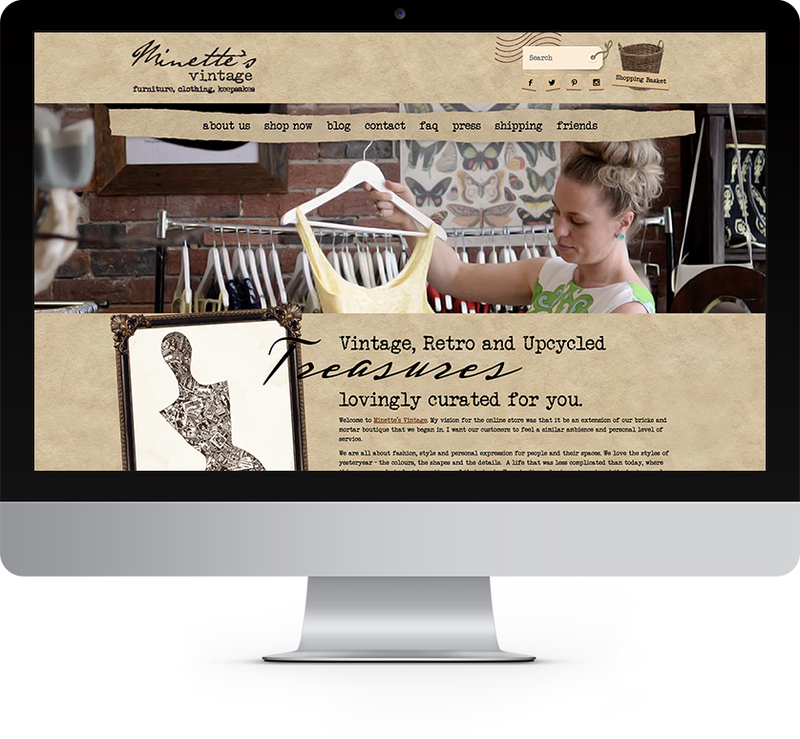 When Minette’s Vintage wanted to bring yesteryear into the digital age, they approached Digital on Demand. Their aim was to produce an e-store using the shopify platform to change the business from one relying on foot trade alone. We needed something that blended a fully customised shopify theme with the clients’ unique retro brand, besides this, Minette needed to be trained and guided in the best way to maximise the shopify platform. Creating the look and feel was a delight, with the amount of visual material Minette gave us to work with. As we built the website we delved into the psyche of Minette’s customers and learned about how potential purchasers explored and used the site thereby optimising and modifying as we went. To round it all off we created Mailchimp templates consistent with the brand for ongoing marketing and communications.